... the new United States was negotiating for a treaty with Great Britain. But things were moving a bit too slowly for Benjamin Franklin, who took up the fake news strategy writing an entirely made-up, fake letter. The letter, (purportedly from Capt. Samuel Gerrish) was printed in such a way as to look like a regular newspaper supplement. 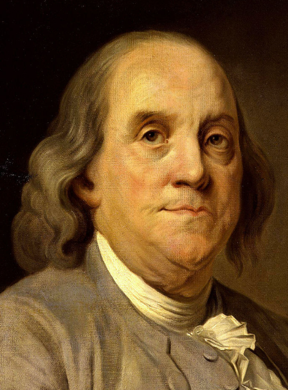 Even though he was in France at the time, being a printer, Franklin could get easy access to a print shop, so making it look "real" was simple for him. Few other people at the time could do this. By April 22, Franklin had made up this fake news story, purportedly published as a supplement to a Boston newspaper. Not since he and Lafayette had drawn up a “List of British Cruelties” in 1779 had he written in such detail about the cruelties that were committed by the British and their allies. He wrote John Adams, “it might make them a little asham’d of themselves.” He was explicitly looking to influence public opinion as the peace negotiations got under way. Sound familiar? In Franklin's fake letter, "Captain Gerrish" describes the horrors of Indian atrocities (he reports seeing giant bundles of scalps taken from innocent settlers, men, women, children) in an effort to get Britain to react in sympathy and encourage the peace negotiations that were then underway. I haven't yet found a digital copy of the original supplement, but the text is reprinted in Memoirs and Life of B. Franklin (1818). The fake news story was apparently believed by a few people including a reprint of the letter (but without any understanding it was written by Franklin) in the 1808 book "Medical Repository, Vol. 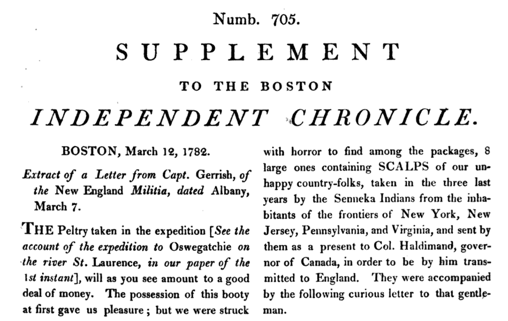 5"
A nice analysis of the hoax (and whether or not the hoax succeeded) can be found in the National Archives essay about the affair: "Founders Online: Supplement to the Boston Independent Chronicle (before 22 April, 1782)"
Fake news has always been with us. It's just disseminating far more rapidly these days--you don't need to set up hot type and run each page by hand. 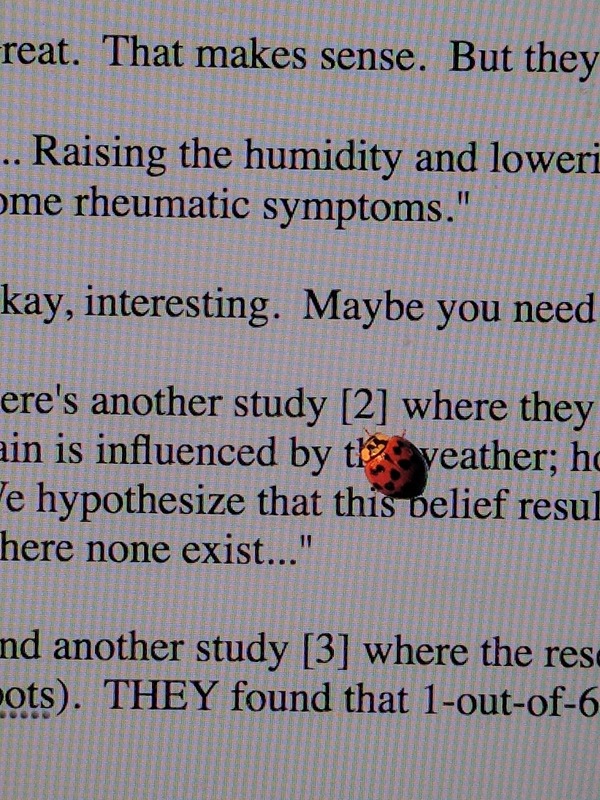 Remember the "masses of ladybugs" SearchResearch Challenge from a couple of weeks ago? This week I'm writing the SearchResearch blogpost from my scholarly residence at Schloss Dagstuhl. Here, in the Saarland of southwestern Germany, it's early spring. The snow drops are beginning to flower, despite the occasional flurries of light snow with the occasional bit of thunder and lightning. 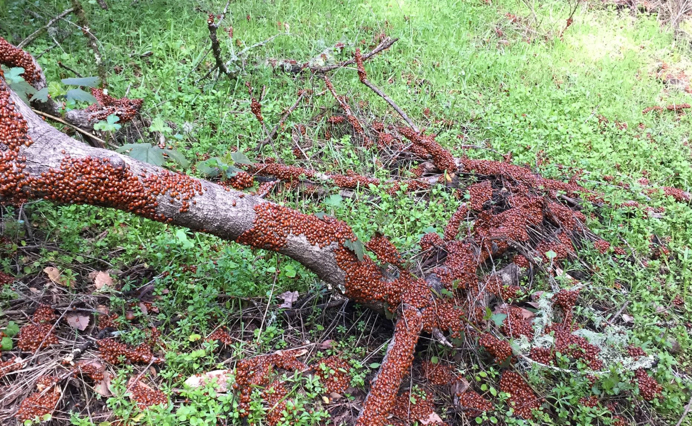 I don't know, perhaps the ladybugs knees were bothering it in the spring storm. This week we've been investigating the connection between the weather changing and aches/pains in the body. Is it a real thing when your aged parent complains about the changes in the weather? I've often wondered this, and in doing a bit of searching I found that it's not as simple as you might think. Reminder: Here's was the Challenge for the week--can you find evidence for these? 1. Can changes in the weather cause real joint pain? 2. Can changes in weather cause other kinds of pain in the body? Fair warning up front: I thought this was going to be a simple Challenge. I didn't know it would turn out this way!! Looking at the SERPS you'll find a LOT of documents. There are many web pages about this topic. But if you notice, while some say it's obvious that joint pain is connected with weather, many of them are skeptical of the claim that joint pain is associated with changes in the weather. Then again Weather.com, the Arthritis Foundation, and WebMD all agree with this weather / joint-pain connection. But they also hedge their bets with a "There's no full agreement among scientists that weather causes pain, or if a specific mechanism is at fault..."
That's a lot of quasi-uncertainty. By contrast, Live Science reports on two studies, one published in Pain Medicine, and the other in the journal Osteoarthritis and Cartilage, (both from December 2016) that did NOT find any connection between weather and joint pain. What's up with all this back-and-forth? This is making me suspicious. Is the story wrong? Does Weather.com have a vested interest here? Part of what's making me worry about this is that the pressure change when a storm front moves in just isn't that much of a pressure change. You see, normal sea level air pressure is around 1013 millibars. That's what you're experiencing right now. But a low pressure system associated with a thunderstorm runs around 1005 millibars, while a high pressure system could be as high as 1040. Since people complain about joint pain when the storm is coming in, that's usually a drop in air pressure. That's a tall, but not massive apartment building. If this were a problem, every time a sensitive person went to the 40th floor, they'd suffer joint pain. This search yields nothing. Absolutely nothing. Huh. That's strange. Is it just a barometric pressure change that could cause pain? I looked up the cabin pressure, and for most planes, it's around 800 millibars. That's quite a change from 1013 millibars... but there's not much comment about that. So I'm getting even more dubious. It's not clear this helped clarify things. "..Earlier studies, using climate control rooms, indicated that rheumatic symptoms were unaffected if weather conditions were held constant or if only one of the variables temperature, humidity, or barometric pressure were altered...."
"... Raising the humidity and lowering the pressure simultaneously, however, led to the appearance of some rheumatic symptoms." Okay, interesting. Maybe you need to change humidity and pressure together to get joint pain. "There is a widespread and strongly held belief that arthritis pain is influenced by the weather; however, scientific studies have found no consistent association. We hypothesize that this belief results, in part at least, from people's tendency to perceive patterns where none exist..."
And another study  where the researchers studied multiple factors (including the appearance of sunspots and the aurora borealis). THEY found that 1-out-of-6 of their participants were sensitive to something, but they couldn't fit a good model to the weather and pain. Still, they weakly conclude that it's possible. As you'd expect, about every other paper reports a different result. Yet another study  reported that pain was correlated with low temperature, high atmospheric pressure, high humidity for rheumatoid arthritis. This complicates things, as these folks reported pain with HIGH pressure, not low pressure. Sheesh. Despite anecdotal reports from patients, change in weather factors does not appear to influence the risk of pain exacerbation in persons with knee osteoarthritis. Additional studies should quantify the association of weather and risk of pain exacerbation in regions with more extreme weather conditions. FWIW, I kept looking around, and it didn't matter which article I read, one would claim it's a real effect, while the next would say that it wasn't. And nobody... not one single paper, article, or book chapter... had anything like a plausible explanation for what would be causing this. But our research suggests this belief [that weather change causes joint pain] may be based on the fact that people recall events that confirm their pre-existing views. For example, people may take note of pain on days when the weather is bad, but discount the connection on days when the weather is nice and mild, he said. Not all experts agree with the studies' failure to find a link between weather and joint pain, however. "Despite these studies, it is not possible to say that there is no link, especially given how much people report that for them there is a strong link" said Dr. Robert Shmerling, the clinical chief of the division of rheumatology at Beth Israel Deaconess Medical Center in Boston. "It is nearly impossible to 'prove a negative' — there is always a possibility that a particular weather feature does affect a particular type of arthritis in a particular set of people — but so far we haven't figured out if that's the case," Shmerling told Live Science. In short, it's incredibly difficult to tell what's true here by reading the popular or medical literature. There is real disagreement about whether it's a genuine effect, or if it's just people noticing the pain and perceiving a pattern of correlation that's not really there. In these days of falsified news reports and big conflicts in reporting, it's good to remember than this is often the case in less fraught topics as well. It's clear that the scientists and physicians don't really know what's going on here either. Guedj, Daniela, and Abraham Weinberger. "Effect of weather conditions on rheumatic patients." Annals of the rheumatic diseases 49.3 (1990): 158-159. Redelmeier, Donald A., and Amos Tversky. "On the belief that arthritis pain is related to the weather." Proceedings of the National Academy of Sciences 93.7 (1996): 2895-2896. Smedslund, Geir, et al. "Does the weather really matter? A cohort study of influences of weather and solar conditions on daily variations of joint pain in patients with rheumatoid arthritis." Arthritis Care & Research 61.9 (2009): 1243-1247. Strusberg, Ingrid, et al. "Influence of weather conditions on rheumatic pain." The Journal of Rheumatology 29.2 (2002): 335-338. Ferreira, M. L., et al. "The influence of weather on the risk of pain exacerbation in patients with knee osteoarthritis–a case-crossover study." Osteoarthritis and cartilage 24.12 (2016): 2042-2047. SearchResearch Challenge (2/20/17): Weather causes pain? ... have their origin in reality. This week we take up one of the most persistent of all folk stories--the connection between weather changing and aches/pains in the body. You've probably heard this before from your aging Aunt Matilda or antique Uncle Roy, "When it's going to rain, my knee / hip / ankle starts to hurt. It's the rheumatism..."
Is this a real thing? Or is it a story handed down through the ages? I've often wondered this, and in doing a bit of searching I found that it's not as simple as you might thing. So... Here's the Challenge for the week. I know it's simple to do a quick search and find an answer--but I'm hoping you'll do more than just the simplest possible query. Instead, take a look at the evidence pro and con, and THEN tell us what you think... and WHY you think the answer is one way or the other. In a Challenge like this, we're testing your ability to pull together data from multiple sources and synthesize it. Can you tell us what you believe (based on your searches) and why? Go beyond the obvious. Think to yourself--"What kind of evidence would convince me of one way or the other?" Be sure to think about what kind of source you're reading, and whether or not the stories you read from different sources actually make sense together. Answer: Large numbers of ladybugs and dogfish? Birds, bugs, mammals--when they all get together in vast quantities, they amaze us. This week we want to search out two particular kinds of swarming animals to get a sense for how many of them move en masse together, and how they're doing these days. With this search I found the Wikipedia page about ladybugs (of course) about quickly learned that they're called Coccinellidae (the scientific family name), they enter diapause (a kind of overwintering hibernation), and that many species collect into large swarms at diapause time. 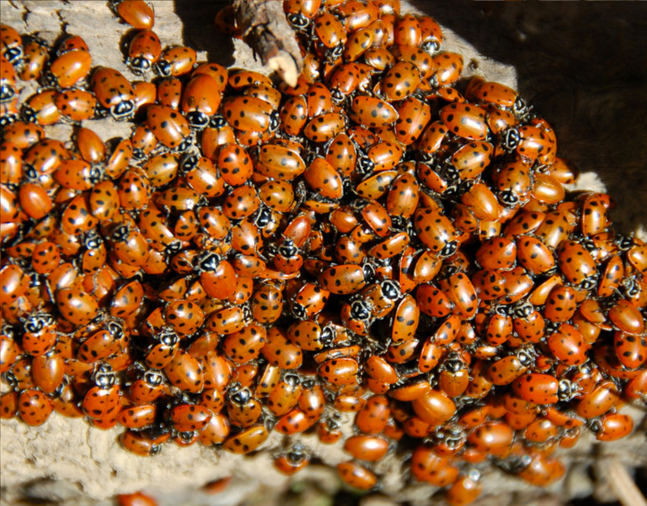 In fact, the Wiki page has a great photo of ladybugs emerging in the spring from a diapause swarm at Stevens Creek, which runs right along the edge of the Google campus in Mountain View, CA. P/C Wikimedia, photo by Lettersee. Apparently, some ladybug species like to spend diapause at higher elevations (e.g., Yosemite). That connection led me to Summitpost.org (a mountaineering website with lots of observations about high-altitude mountain phenomena) with article about ladybugs diapausing. They write that "Many ladybug dealers/collectors claim that some of these mountain colonies can contain as many as 500 gallons of ladybugs, with each gallon containing up to 72,000-80,000 ladybugs..." To first order, that's around 40 million ladybugs in one swarm... but it also told me that there are "ladybug collectors," which might be a promising line of research. (I had to add "insect" to the query to avoid all of the "ladybug collectors" of jewelry websites.) But once I did this, I found even more sites talking about mass quantities of ladybugs. In short order I found one report from Boulder, CO (with a picture similar to that above), and yet another article that mentions ladybug dealers/collectors that can harvest millions at a time with snow shovels and buckets. That article led to the website of the Lost Ladybug Project (run by the entomology department of Cornell University). This research project is dedicated to understanding what's happening the ladybugs in North America, and why some ladybug species are becoming rarer, while other are moving their range. That search led me to an article written in Entomologica Americana by Eric Denemark and John Losey, "Causes and consequences of ladybug washups in the finger lakes region of New York State (coleoptera: coccinellidae)." Entomologica Americana 116.1 (2010): 78-88. Although I wasn't directly looking for this paper, I found it while searching for the large ladybug swarms. When the text mentions masses of drowned ladybugs, I naturally get curious. How can this happen? This paper ("Causes and consequences...") is by Denemark and Losey. Those names also rang a bell. Where had I see them before? I had just been looking at the Lost Ladybug Project and remembered seeing those names listed on their About page. This is a pretty reputable journal about entomology, and these two folks are deeply into ladybugs. "...The frequency, composition, and duration of washups in the Finger Lakes support the hypothesis that a weather condition known as a lake breeze forces coccinellids [ladybugs] to fall into the water. These animals subsequently arrive on shore in large numbers." We once calculated the approximate number of ladybirds that would have been in the tide-lines along the southern and eastern coasts of Britain on a single day in late July 1976. Assuming all to have been one of our larger species, the 7-spot (which they were not), a conservative estimate gives a figure of some 23,654,400,000 ladybirds (estimated by counting the number of 7-spots in 15 200 mm sections of tideline and multiplied up by the amount of suitable coastline between Land's End and the east coast border between England and Scotland). This figure is difficult to comprehend, but it is about four times the current human population of the Earth and, of course, this was just the ladybirds in the tidelines on a single day. It does not include any of those that stayed on land, or those that were washed out to sea, or those that were eaten by other starving ladybirds or other predators, or those that were killed on the roads or elsewhere by the devices of man. Not surprisingly, a crash in ladybird populations followed. Wait a second. That's 23 billion ladybugs that washed-up on the shores of the British Isles. 3. The spiny dogfish (Squalus acanthias) is a remarkable fish. Like many fish, they often school in large numbers. What's the largest report of a dogfish school you can find? Spiny dogfish, Squalus acanthias. Just so you know what we're talking about. And with these queries it's easy enough to find multiple sources that report schools of dogfish in the thousands (e.g., University of Michigan animal web, the FAO United Nations page on dogfish, or Fishbase). With comments about dogfish being the most abundant living shark, and the only shark species that supports fisheries of a size rivalling those of the more commercially important bony fishes. Bigelow & Schroeder (1948) noted that in a time of peak abundance in 1904-05 an estimated 27,000,000 dogfish were taken off the Massachusetts coast each year. So... why "dogfish"? The name "dogfish" was adapted by fishermen who referred to the schools of them chasing schools of smaller fish as "packs." The lifespan of a dogfish is estimated to be between 20 and 75 years. It's a very long-lived fish that matures late and reproduces slowly, with gestation lasting two years – the longest of any vertebrate. It's ovoviviparous, meaning that spiny dogfish develop in eggs within the female, living off their yolk sacs. For each female, six to seven live young are born, measuring 20 to 33 cm. At birth, the mother shark has a series of rhythmic contractions, just as in mammals, and the young are delivered head first. Larger and older females have bigger litters with larger pups; a large female can carry up to 4 times as many embryos compared to a smaller female. Larger, older females have higher survival rates than those born to small females. As a consequence, despite their large numbers in schools, dogfish are vulnerable to being overfished. 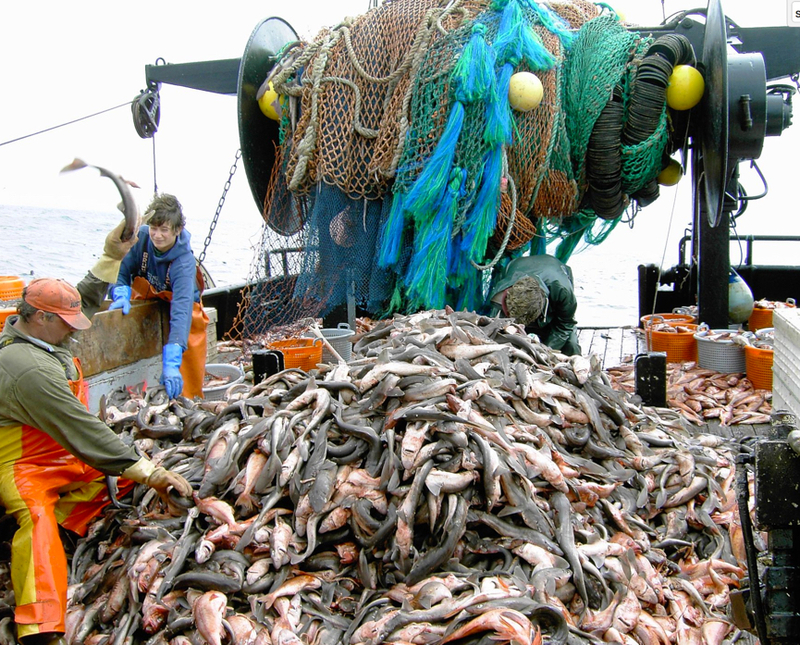 It takes a long time for a crashed dogfish population to return. I was curious about what large schools of dogfish had been observed. Anything more than "thousands"? Notice that I had to add the term "squalus" to eliminate all of the dogfish results having to do with beer (there's a popular brand named "dogfish"), pubs, B&Bs, etc. A school of dogfish brought up in a fishing net. P/C Wikimedia and John Wallace of NOAA. I found one article ("The Spiny Dogfish--a Review" published by NOAA) that quoted the Cape Ann Advertiser of February 10, 1882 as saying that: "Immense schools of dogfish,extending as far as the eye can reach, have appeared off Portsmouth, an unusual sight in winter... "
As the ichthyologist Milton J. Love later wrote about this observation, "Heh, that is a powerful lot of dogfish." I'm trying to imagine 39 miles of dogfish, "as far as the eye could see..."
1. You might have to try different variations on a search term. In the ladybug example, I tried both "aggregation" and "swarm," and got different (and usefully different) results. In the dogfish Challenge I tried variations on the adjective: gigantic, enormous, huge... When I finally tried "immense" I found some really useful results. 3. When getting lots of spurious results, try adding in a technical term to get more on-topic focus. When I did the search for [ dogfish school ] I had to add in "squalus" as a search term, just to remove all of the commercial results for beer and vacation spots named after the fish. They like dogfish alright, but they never use the term "squalus"! SearchResearch Challenge (2/8/17): Large numbers of ladybugs and dogfish? It could be the vast rivers of wildebeests that annually migrate in Africa, or millions of passenger pigeons that once darkened the skies of North America, or the monarch butterflies that travel in gigantic swarms from the US to southern Mexico in the fall, but in all cases, the earth moves and we're amazed. When I was walking through Yosemite Valley in the fall, I spotted a huge number of ladybugs clustered together on a rock wall. I estimated there were at least 1 million bugs packed cheek-by-jowl (or antennae to elytra, in the case of the bugs) along that 50 meters of wall. As always, I'm interested in the answers... but also REALLY interested in how you found this out. What search terms did you use to find the largest ladybug loveliness? What resources did you check to find out about the spiny dogfish schools? Teachers: These Challenges are especially great for your students. The search process here can be simple, or very, very sophisticated, and it lets interested students dig deep into the natural history of these social animals. Answer: What's the common thread? 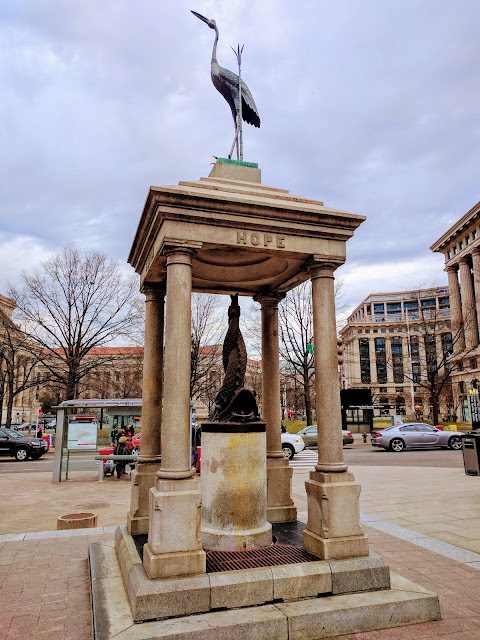 While in DC I found this fountain that seemed so out-of-place and unlike other fountains that I had to wonder what the backstory was. As you can see below (look at the very plain fountain two pictures down), it reminded me of another fountain in Petaluma, California. 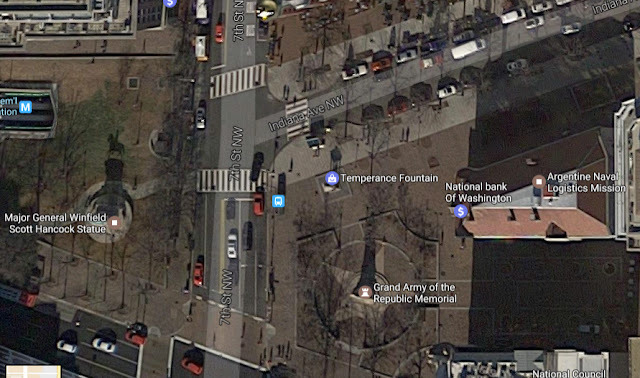 What's the thread that links these two distantly separated (and stylistically separated) water fountains? Can you figure it out? It's not hard to figure how where this fountain is. You could look at the EXIF metadata (see my earlier post on how to examine EXIF metadata) and find that it's at 38.893889, -77.021283, which puts it solidly in the center of Washington DC. "charity" and "temperance." What an unexpected trio of words: Hope, Charity, Temperance. I wonder what's on the 4th side? This is a suggestion for the 4-word phrase I was looking for! Could the words be temperance, charity, faith, and hope? I tried checking on Streetview, but the camera is just a BIT too far away to be sure. 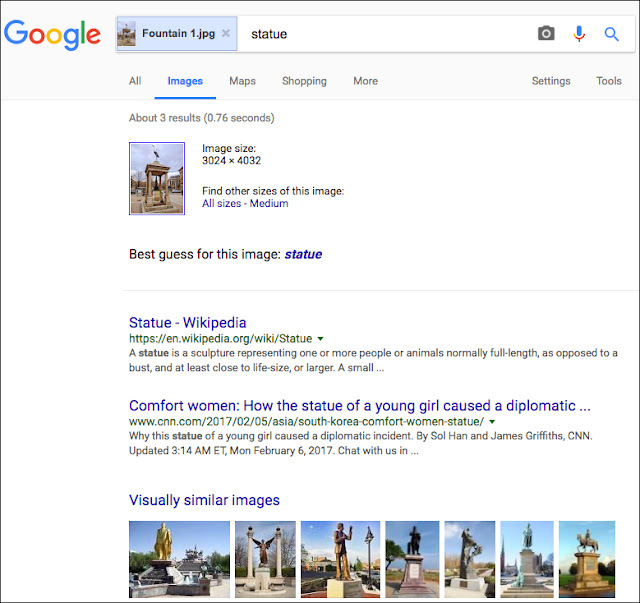 So I tried doing an Search-by-Image, and that didn't work so well. None of the hits were of this fountain. Here's my modified Search-By-Image query. Notice that I added the additional search term temperance to the query. Now we've got something. 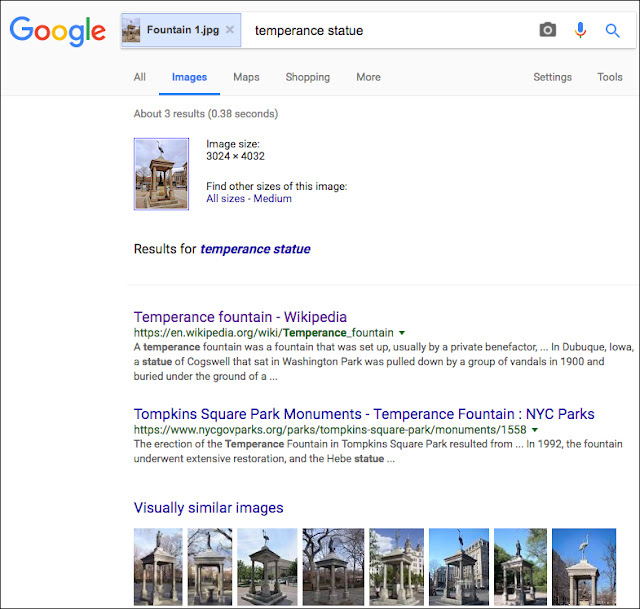 As you can see, we have pretty good results, including many of the "Visually similar images" are of the crane-topped temperance fountain in DC. 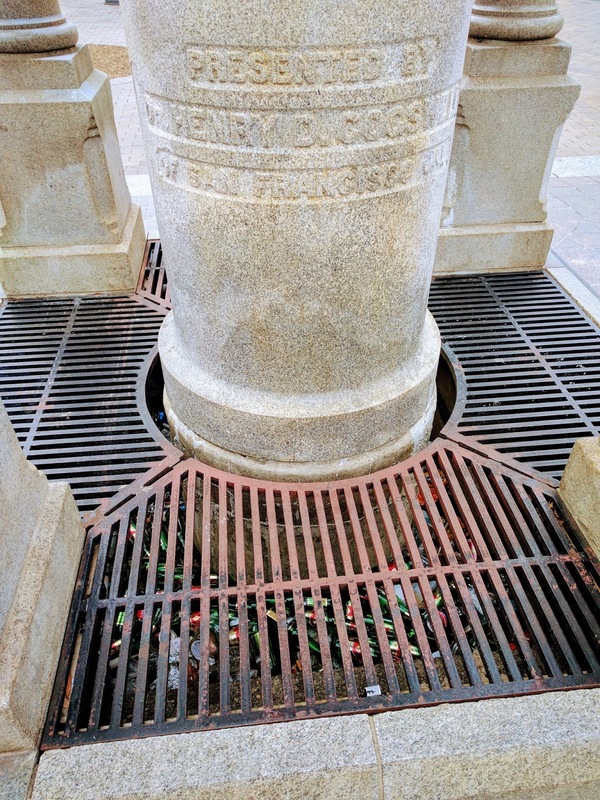 By clicking around a bit, we can quickly learn that this fountain was donated to the city in 1882 by the Temperance crusader Henry D. Cogswell, oddly enough, he is from San Francisco. 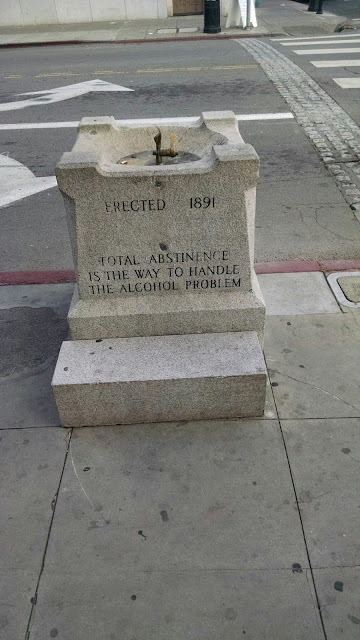 This fountain was one of a series of fountains he had commissioned in a hopeful belief that easy access to cool drinking water would keep people from consuming alcohol. The words "Faith," "Hope," "Charity," and "Temperance" are inscribed around the fountain's canopy, which bears a life-sized heron, and has a pair of dolphins (although the dolphins have scales). Originally, visitors were supposed to drink the ice water that sprung from the dolphins' mouth with a brass cup attached to the fountain. 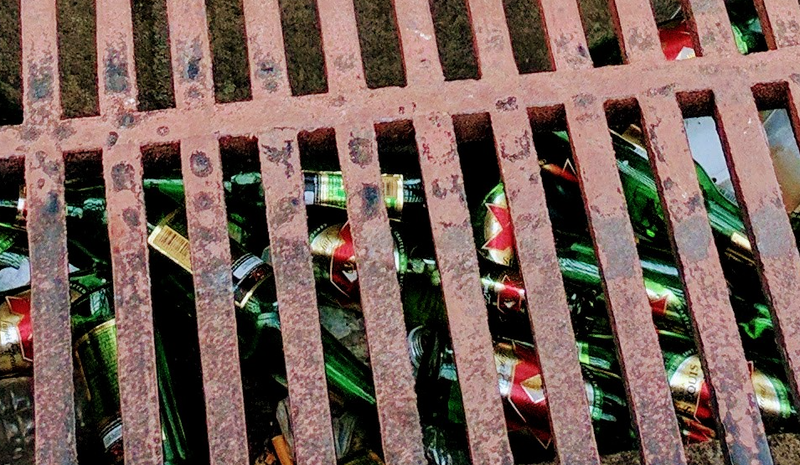 (Oooh... how sanitary!) The city quickly got fed up with putting ice into the base of the fountain, and fairly quickly gave up on the entire idea. 2. Why did looking at the inscription (below), make me laugh out loud? 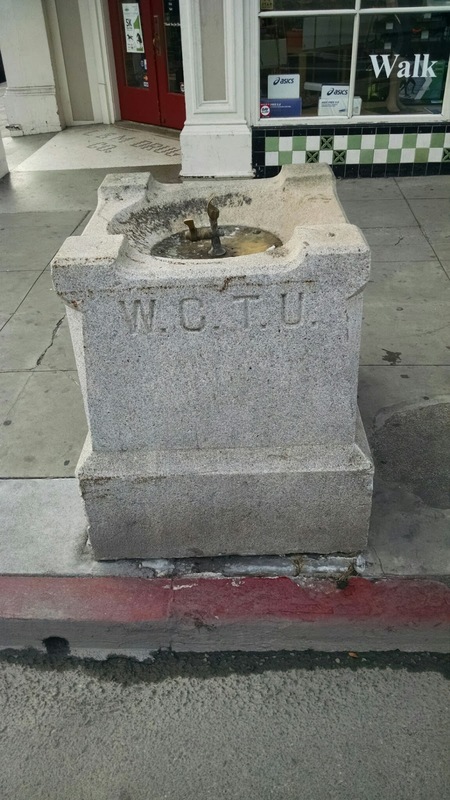 It's also worth noticing that this fountain was "donated by Henry B. Cogswell of San Francisco" and, as the Wikipedia article points out, it has survived the years mostly unscathed (although early on it lost the ability to dispense water). By contrast, the Cogswell temperance fountain at California and Market Street in San Francisco featured a statue of Henry D. Cogswell himself. It was so unloved that it was pulled down on New Year's Eve Night of 1893-1894 by "a lynch party of self-professed art lovers" including Gelett Burgess (who was fired from his job at UC Berkeley). On the other hand, Cogswell's 1879 statue of Ben Franklin which is paired with a temperance fountain in Washington Square (on the other side of San Francisco) remains untouched and in working order to this day. 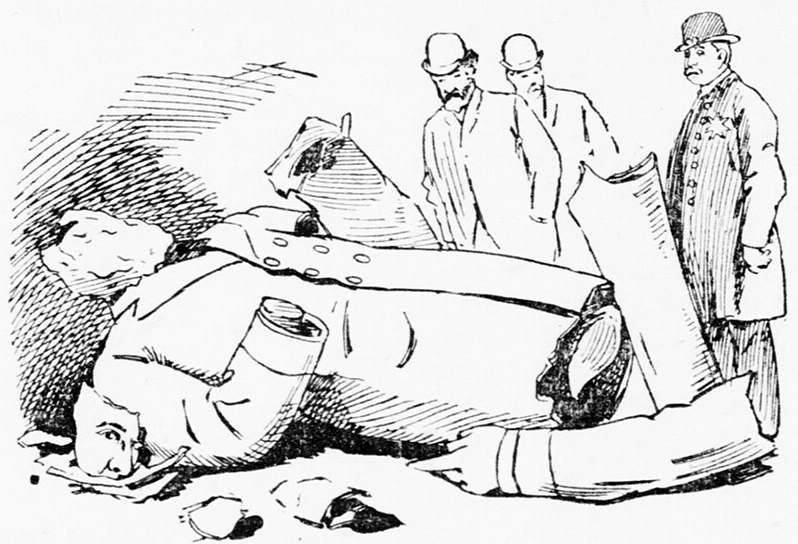 Destruction of Cogswell's fountain in San Francisco, 1894. San Francisco Call. 3. Here's another fountain I found in Petaluma, CA (below). 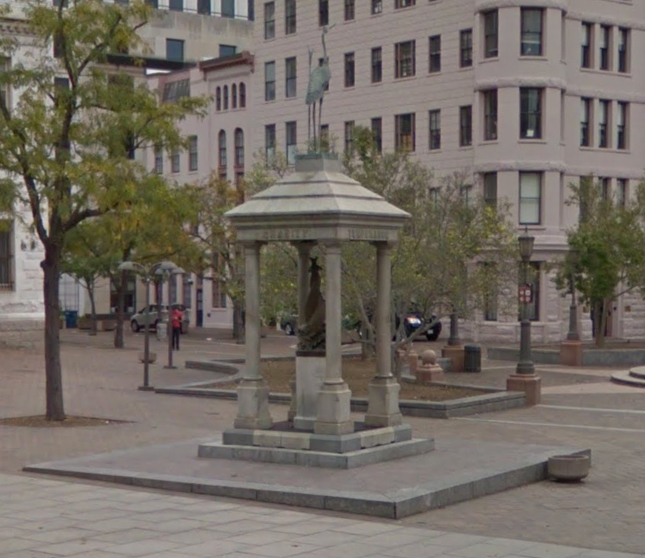 It's not nearly as fancy and decorative, but it's actually very similar to the fountain above. What's the story that connects these two fountains? tells us that this is the "Women's Christian Temperance Union." The organization, which helped to set up a lot of Temperance fountains, still exists to this day (see the WCTU website), and are still advocating an abstemious lifestyle. The National Woman's Christian Temperance Union (WCTU) was founded in Cleveland, Ohio in November of 1874. It grew out of the "Woman's Crusade" of the winter of 1873-1874.... after listening to a lecture by Dr. Dio Lewis, [the women] were moved to a non-violent protest against the dangers of alcohol. Normally quiet housewives dropped to their knees for pray-ins in local saloons and demanded that the sale of liquor be stopped. In three months the women had driven liquor out of 250 communities, and for the first time felt what could be accomplished by standing together.. This led directly to the adoption of the 18th Amendment to the Constitution on January 16, 1918, which led to Prohibition, and all of the social issues that followed on after that. 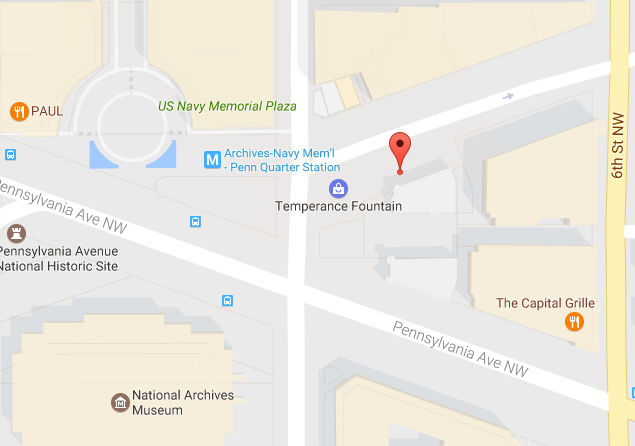 The connection, then is that both are Temperance Fountains. Both are an attempt at social engineering (to provide cool, refreshing water to drink, rather than have to duck into the nearest saloon for harder stuff). A 1915 issue of Soda Fountain magazine stated: "The soda fountain of today is an ally of temperance... Ice cream soda is a greater medium for the cause of temperance than all the sermon ever preached on that subject." That's certainly interesting--can we track that 1915 reference down? The short answer is, apparently, no. I tried Google Books, the Hathi Trust and various archives, but I can't even find a place where copies of this magazine are kept! (Although the query [ "the Soda Fountain" temperance ] did lead me to the 1921 and 1922 editions of the magazine, which are pretty entertaining reading. I just haven't been able to get to the 1915 edition.) So we'll have to take the Wikipedia quote with a grain of salt (it could well be correct, but I haven't yet been able to verify it). "The Dispenser's Formulary: Or, Soda Water Guide; A PRACTICAL HANDBOOK FOR SODA FOUNTAIN OPERATORS CONSISTING OF OVER 2,000 TESTED FORMULAS FOR SODA FOUNTAIN PRODUCTS WITH COMPLETE INFORMATION ON FOUNTAIN SERVICE, FOUNTAIN STANDARDS, ICE CREAM STANDARDS, AND FORMULAS, AND LUNCHEONETTE SERVICE INCLUDING AN APPENDIX OF MANUFACTURERS’ FORMULAS TOGETHER WITH DESCRIPTIVE INFORMATION OF THEIR FOUNTAIN APPARATUS, SUNDRIES AND SUPPLIES." Caps are theirs, not mine. "The widening spread of the temperance movement and the year round stability to trade that is a part of the luncheonette department are both factors that will count for the soda fountain's great growth and prosperity during the years before us." By 1906, confectionaries or drugstores operating soda fountains could be found on one or more corners at every principal intersection in Chicago. In New York City, temperance leaders beamed as the number of soda fountains surpassed the number of bars in the Modern Gomorrah. 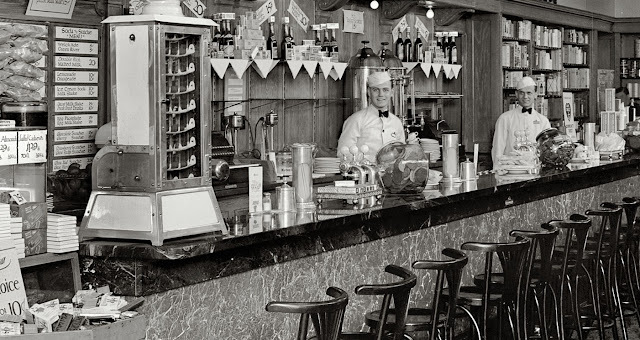 Although soda fountains didn't lead directly to the temperance movement, they definitely rode the wave towards a kind of popularization and success. 1. There are often multiple ways to find the same thing. In this case, I used the EXIF metadata, but Search-By-Image also works... IF you modify the query to take into account additional information. 2. You can modify a Search-By-Image query to zero in on what you seek. In the example above, the regular SBI didn't work well, but once I changed the query to include some additional information, it worked really quite well. 3. Sometimes you have to zoom in a bit. The beer bottles at the base of the DC temperance fountain are funny... but only if you notice them. When researching a picture, it's often really useful to zoom in a bit and check out the details. 4. Remember Google Books is great for archival information (such as the connection between soda fountains and temperance). An easy search can get you a lot of really useful historical context.